AUSTIN, Texas — Rahul Goyal of Intel has been elected to a one-year term as board chair of Silicon Integration Initiative, a leading research and development joint venture that provides standard interoperability solutions for integrated circuit design tools. The election was held during Si2’s board meeting at the recent Design Automation Conference. 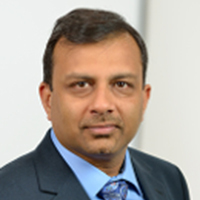 A member of the Si2 board since 2003, Goyal is vice president, Technology and Manufacturing Group and director, Research and Development Strategic Enabling for Intel. He has global responsibility for strategic sourcing, supply chain strategy, industry relations, ecosystem development, strategic collaborations, data analytics, and capacity management related to product development across Intel’s broad product portfolio. This includes software, system and semiconductor intellectual property, product development outsourcing services, electronic measurement solutions, Electronic Design Automation software, prototyping and verification products used in all aspects of product design, validation and technology development. Goyal joined Intel in 1989 and has held various technical and management positions in software engineering and technology development. His previous roles there include engineering director in the Design and Technology Solutions Group, director of the integrated silicon technology roadmap development in the Microprocessor Products Group, and senior engineering manager of mask operations. Goyal holds a bachelor’s degree in electrical and electronics engineering from Birla Institute of Technology and Science in Pilani, India, and a master’s degree in computer engineering from Syracuse University in New York. 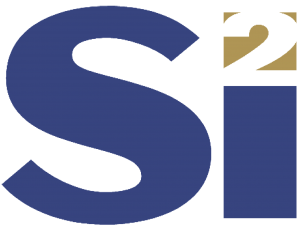 Founded in 1988, Si2 is a leading research and development joint venture that provides standard interoperability solutions for integrated circuit design tools. All Si2 activities are carried out under the auspices of the The National Cooperative Research and Production Act of 1993, the fundamental law that defines R&D joint ventures and offers them a large measure of protection against federal antitrust laws. The Si2 international membership includes semiconductor foundries, fabless manufacturers, and EDA companies. Si2 ByLaws 27-Feb-2015 Si2 ByLaws should be read by all Si2 members and potential members.